Ron Ferris & Son, Roofing Contractor Rochester NY, Announces New Websites, New Partnership! Ron Ferris and Son, a leading roofing contractor in Rochester NY is proud to announce that we are launching two new websites in effort to supply information roofing in Rochester NY and roofing services utilizing the internet. On our new websites, customers can access blogs, consumer testimonials, pictures, and clips of roofing tips and request free estimates. Customers can also read more about current promotions and services we offer in the following Greater Rochester Areas: Brighton, Churchville, Fairport, Henrietta, Honeoye Falls, Penfield, Pittsford, Rochester, Spencerport, Webster, West Henrietta, Macedon, Marion, Ontario, Palmyra, Sodus, Walworth, and Williamson. In Addition to our new sites, Ron Ferris & Son is making use of social media and hope to satisfied customers will follow and like us on our social media sites. We will be publishing several print ads, and promotions as well as radio campaigning to help create greater brand awareness, so look for us in 2013! We have also teamed up with 106 years old roofing giant CertainTeed. They are the world’s largest manufacturer of asphalt roofing shingles and we come highly recommended as a CertainTeed Shingle Master Company in Rochester NY. Our roofing installers have been through a comprehensive training and certification program including on the job training with a CertainTeed regional representative. Being a master shingle applicator is taken very seriously by our installers, and is a very high credential in the roofing industry. Being a credentialed roofing servicer in Rochester NY, allows us to provide our customers with a 4 star ironclad warranty backed by CertainTeed that will last a lifetime. So take the time to browse through our new roofing websites and educate yourself before you start to get estimates on roofing services in Rochester, or call Rochester’s trusted Roofing Company today at 585-750-6757 for a free roof evaluation! 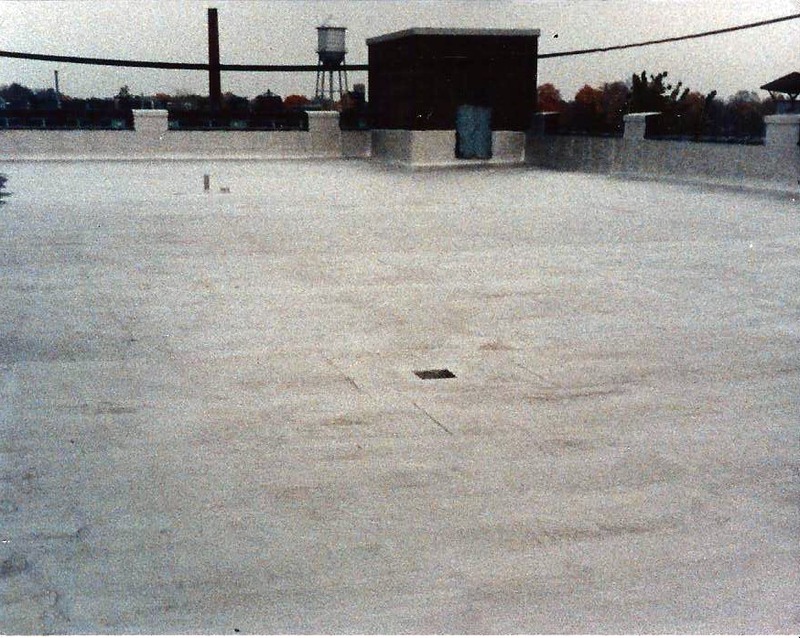 The last thing anyone wants to see on their new roof is discoloration. This is becoming a very common occurrence on new roofs in Greater Rochester and surrounding counties, and can be treated with prevention. The discoloration does not mean your roof is defective, but it can be difficult to remove and is best left to a roofing professional. Pressure washing may be effective, but is often too powerful. Without the proper experience, you can unwillingly remove roofing shingles or their protective finish. Even a trained professional powerwasher can cause irreversible damage. Our professional recommendation at Ron Ferris & Son is to install zinc stripping at the peaks of problem areas, These strips oxidize when the come in contact with the air. When this process happens, they release metal ions. When it rains or water is applied to the roof, the ions will travel breaking down the algae. Picking the RIGHT Siding Contractor in Rochester NY! Picking the right siding contractor in Rochester NY can be a daunting task but if you follow some basic guidelines, you dramatically increase your odds of picking the right contractor the first time. At Ron Ferris & Son, we know every person and every home has its own unique needs. We also know that every siding contractor in Rochester NY and the services they provide can be completely different from one another. 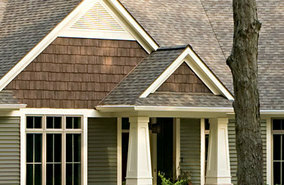 The right siding contractor is out there waiting for you with the right siding products for the right price. 1) Is the contractor being considered fully insured with workmens comp and liability insurance? 2) Be sure to collect work references and then check them! 4) Compare all of the estimates apples to apples – Don’t ever sacrifice quality for savings – It will hurt you in the long run! At Ron Ferris & Son we are fully insured and always give you a written fully itemized estimate. We take great pride in our work and promise to give our customers exactly what they need! For a free estimate give us a call at 585-288-0985 or visit our website http://www.ronferrisandsonroofing.com/ for more information! As many vinyl siding contractors in Rochester NY have discovered, you can pay a lot for a vinyl siding installation, but you don’t have to! Other vinyl siding consumers have paid a lot for vinyl siding in Rochester NY only to received sub-standard installations and low quality materials. 7) Pick the estimate, price, and company that’s right for you! DON’T be pressured by a salesman! At Ron Ferris & Son we cannot emphasize enough to always get a fully itemized written estimate. Compare your vinyl siding estimates by Material Grade and whats included. If it isn’t in writing, DON’T expect it! This includes a salesman number on the back of a business card or being provided with vague written bids with no details. GET IT IN WRITING!